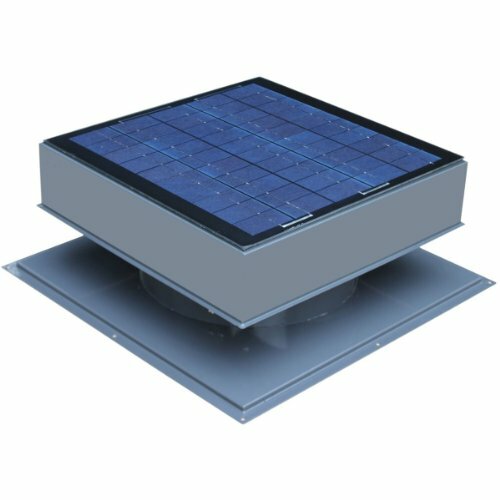 The Remington Solar Ventilation Attic Fan is completely powered by free solar energy. This American-designed fan is designed to reduce attic temperatures and remove destructive moisture, thus making your home more comfortable and reducing the load on your HVAC system and lowering your electricity bills. In the winter, this fan reduces the risk of ice-damming. Our stylish, powder coated steel, 30-Watt fan will effectively ventilate up to 2500 sq. per ft. of attic space at up to 1550 CFM. This is the least expensive high-quality fan, feature-for-feature, available. Each fan comes with a built-in humidistat and thermostat. Life-time non-transferable limited warranty on parts and manufacturer's defects. Parts only.